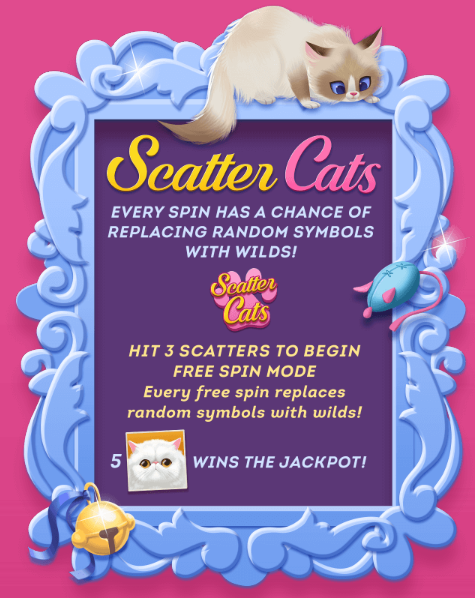 This cat-themed slot machine has wilds that have the chance to drop in with each spin. 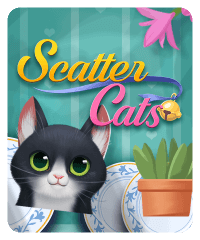 However, if you get three or more Scatter Cats symbols on the reels, you enter free spin mode. 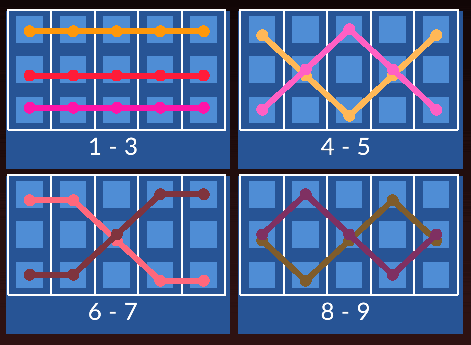 During this, every free spin replaces random symbols with wilds. 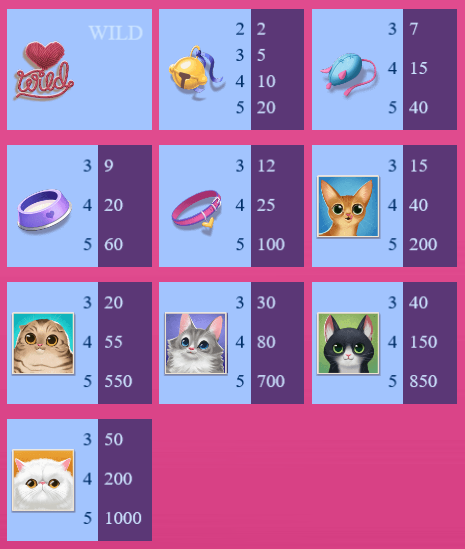 Fun fact: in between spins, you can pet the cat on top of the reels!